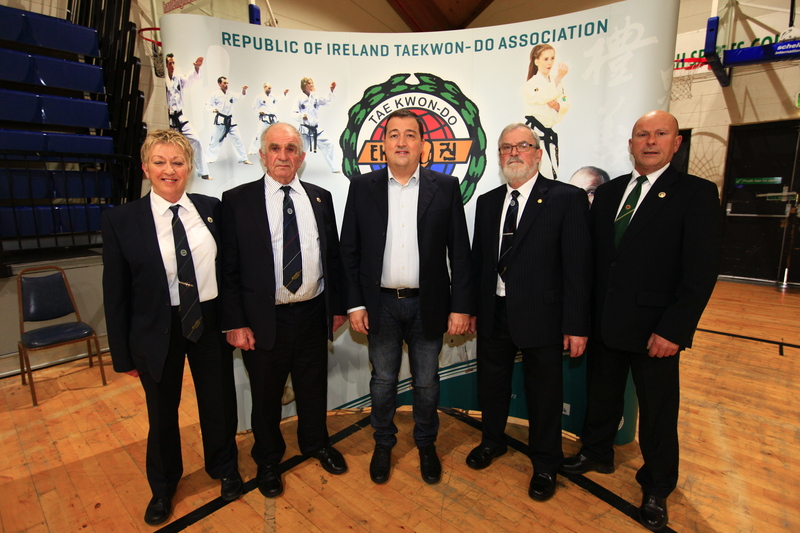 The Republic of Ireland Taekwon-Do Association has partnered with global data center solution specialists and technology company Hanley Energy in a deal that will see the Irish owned company become main sponsors of the organisation with immediate effect. The sponsorship deal was announced by the Masters Council at the 2016 National Taekwon-Do Open Championship which took place in Dublin recently. Dennis Nordon, MD and co-founder of Hanley Energy said the company continues to recognise world-class potential and is delighted to be an advocate of the Republic of Ireland Taekwondo Association. Hanley Energy are very excited about forging strong links to a relatively young, evolving sport with exemplary ambition and a future that is, like ours, on an upward curve. Our aim with RITA will be to support at both an elite and grass-roots level, as the sport continues to grow across the country. We recognise a shared vision and ethos with RITA, we are delighted to be able to champion excellence and assist them in nurturing real international potential. We are looking forward to many exciting years ahead as sponsors. Business and Taekwon-Do are akin in many ways, but the biggest similarity is the toll they can take on your mental resilience. If you want something sufficiently in both, you will have to work for it. Nothing is accomplished without sacrifice. Dedication, preparation and work ethic are all vital to progress. In Hanley Energy, we try to embrace the discomforts, even when things seem impossible, learn from errors and we have built a strong team around us, where every member deserves credit for the business success. This ethos is closely reflected in two of Taekwon-Do’s core tenets, perseverance and indomitable spirit. We are delighted to be able to announce Hanley Energy as the primary sponsor of the Republic of Ireland Taekwon-Do Association. We’ve had really positive initial meetings and I think it’s clear that we are very much on the same page. We’re looking forward to a strong and productive partnership. Left to right; Master Valerie Keane, Grandmaster Robert Howard, Hanley Energy Co-founder & Managing Director Dennis Nordon, Grandmaster Anthony Phelan, Master Francis Barrett.